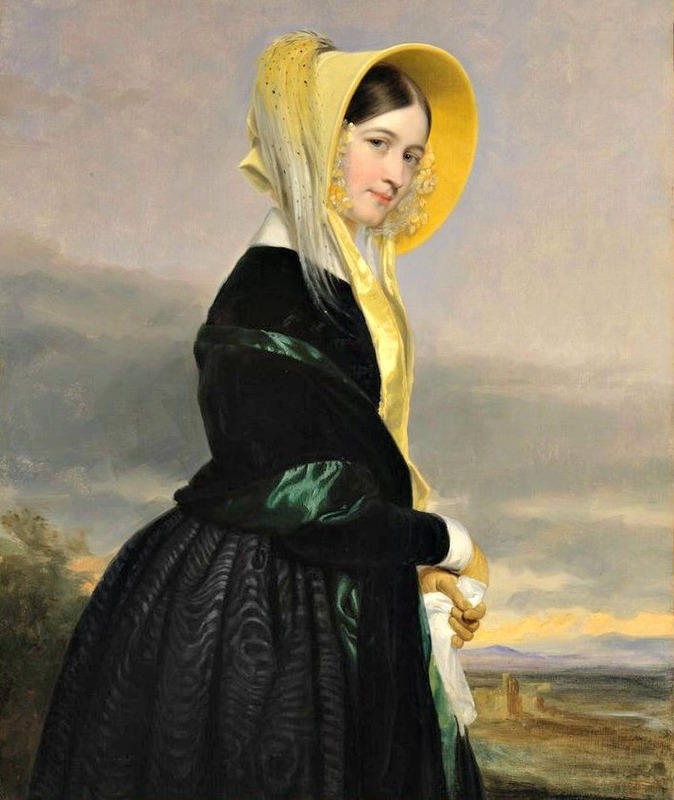 Euphemia White Van Rensselear by George Peter Alexander Healy, 1842. It’s my blogiversary! Today, MimiMatthews.com is two years old. I have no idea what the two year mark of a successful blog looks like, but I feel incredibly fortunate that my site continues to receive such a positive response. I am especially grateful to all of my wonderful subscribers and to everyone who takes the time to comment on my articles. Your readership means the world! You may have noticed that I’m not updating as often lately. I am currently working toward two separate book deadlines, something which has been rather time consuming and a bit stressful, I must admit. The good news is that my first non-fiction book, The Pug Who Bit Napoleon: Animal Tales of the 18th & 19th Centuries (to be released by Pen and Sword Books in November 2017), will be available for pre-order this May. My next non-fiction book, A Victorian Lady’s Guide to Fashion and Beauty, will be released next summer. I hope to have some new nineteenth century history articles for you soon. In the meanwhile, here are five of my favorites from this last year. Victorian Fat Shaming: Harsh Words on Weight from the 19th Century. Published on April 25, 2016, this article addresses Victorian era conceptions of obesity, including supposed links to promiscuity and prostitution. This was fascinating to research and quite sad, too. Discrimination of any kind casts a very long shadow. Canines And Crinolines: Victorian Dogs Captured By Fashion. Published on July 15, 2016, this article looks at one of the lesser known perils of the controversial wire cage crinoline. Find out how Victorian era ladies coped with (sometimes vicious) dogs getting tangled up under their skirts! Shades Of Victorian Fashion: Lilacs, Lavenders, Plums, And Purples. Published on August 22, 2016, this article looks at the use of purple in Victorian women’s gowns and accessories. This was the first in my Shades of Victorian Fashion series. Death At The Needle: The Tragedy Of Victorian Seamstress Mary Walkley. Published on September 20, 2016, this article is about the 1863 death of Mary Walkley, a seamstress in a fashionable dressmaker’s shop who perished from overwork and lack of air. Well, that about wraps it up for this anniversary post. Thank you all again for reading, sharing, and commenting on my articles. Here’s to the next year researching and writing on nineteenth century romance, literature, and history! Can’t wait for your books! Congratulations! Congratulations on two years! I enjoy your posts. Always well written, well researched, and enjoyable. Thanks so much, Nancy :) I’m so glad you enjoy my posts! your blog posts are a delight to read — congratulations on your blogaversary! Thank you so much :) I always appreciate your comments! Your posts are a lovely, enjoyable treat. Thank you, Mimi! And good luck with those two books. Thanks so much, Penny :) Your words mean a lot! Very much looking forward to your book. Please let us know when we can pre-order. I absolutely will, Mary :) I don’t have a firm date yet, but it will be the end of May. Thanks for the recommendation, Victori! Happy Anniversary! Congratulations on your book babies! Here is to your continued success. Happy Blogiversary! Your posts are so informative and a pleasure to read. Thanks, Angela :) I’m so glad you enjoy them! Happy blogaversary – your articles are always entertaining – always well researched, thank you! Thanks so much :) I’m glad you enjoy my articles! Happy Blogiversary. I love your blog! Thanks so much :) I’m glad you enjoy it! Happy blogiversary!! Looking forward to A Victorian Lady’s Guide to Fashion and Beauty. I am a new follower and I have always had a love for the Victorian Era, and your articles are very informative. Thank you! Ooh, sounds great. I’ll check it out! Happy anniversary. I’ve always enjoyed your informative posts. My, those two years went by fast. A testament to good reading!